Nadya is the founder of the EHF community. Her passion for health lead her to switch careers from finance to nutrition and her pursuit to make a difference lead her to start the EHF group. Nadya has been working as a self-employed nutritionist for over 3 years and even though she saw great improvements in her clients’ health, she always felt like the wellness industry wasn’t making as large of an impact on people’s health as it could. Nadya found two big gaps in the industry, which were the lack of a community and business education, and decided to find a way to improve that. That’s how the EHF community came alive in June of 2016. 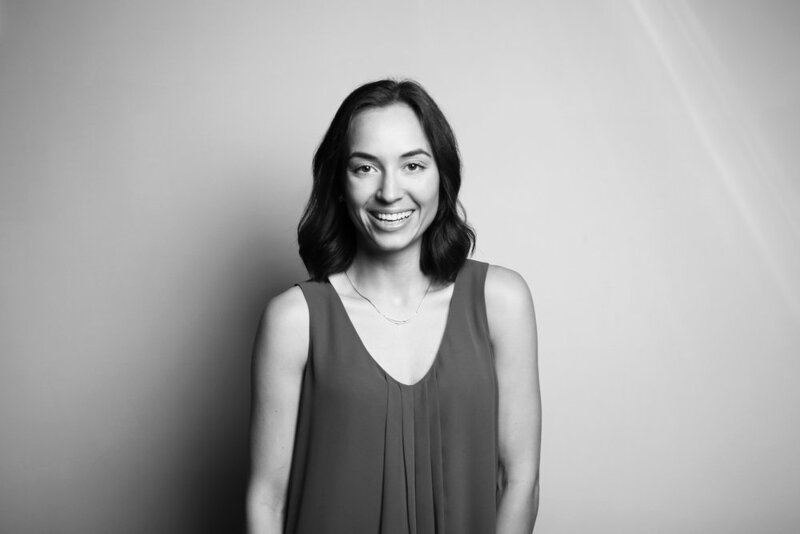 Nadya is committed to facilitating a community of health and fitness entrepreneurs starting here in Vancouver first, and then spreading to the rest of Canada. Ariana is a personal trainer who's passionate about helping women stuck in self-defeating patterns become their happiest, healthiest, most confident selves through simple fitness, nutrition, and mindset strategies. Ariana truly believes that when we are happy, healthy, and taking proper care of ourselves, we live more meaningful lives and are better equipped to handle the stressors life throws at us. She is committed to helping health and wellness professionals develop the tools and strategies needed to share their unique gifts with their communities, and she envisions a world where coaches from all walks of life work with one another as opposed to against one another to make the world a healthier place. Ariana takes care of EHF's members and partners as well as she is a valuable contributer to the development of the EHF community. and has allowed her to hone her skills in art direction, branding and photo editing. She specialises in portraiture, food, and documentary photography. Her link to health + fitness is her being diagnosed with an autoimmune illness called Lupus at the age of 13, coping with the illness plus medications left her feeling more sick on a daily basis. One day she decided to break away from it all with a heavy dosage of self-care, starting from the inside out with good nutrition and exercise. She wants to share this gift of a healthy life to others who may face similar health complications. Olivia's role is to overlook all of the visuals and art direction for EHF where she created the logo, website and also documents the various types of events. Justyna is a nutritionist in training whose focus is on seasonal eating and living, as well as personalized nutrition. She truly believes anyone can achieve a fulfilling and healthy life by tuning into their body, immersing themselves in nature and facing challenges with confidence and strength. Justyna founded ThriveWithTheSeasons.com, where she shares recipes, nutrition information and initiates meaningful conversations. Justyna is the Content Coordinator responsible for maintaining the blog and assisting with monthly events. She is a valuable contributor to the development of the EHF community. If you want to contribute to the EHF blog, please contact her info@ehfcommunity.com. Matej is a creative entrepreneur who runs a business focused on designing and manufacturing wooden products that make sense. He has also successfully led a Kickstarter crowdfunding campaign and has since helped others in getting their fingers dirty in the crowdfunding world. Matej is the EHF community adviser who helps with business planning and goals setting. He overlooks the big picture of creating a community and keeps everyone on track. Matej doesn’t only help the EHF team with his business knowledge but also members of the community with educating them about business design.